Another lucky garage sale find today. 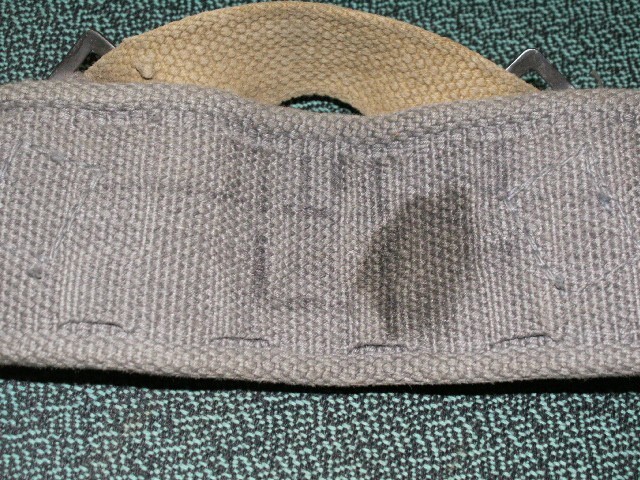 Belt is dated 1943 and made by ZL&T Ltd. I just can't figure out what the loops were added for?? 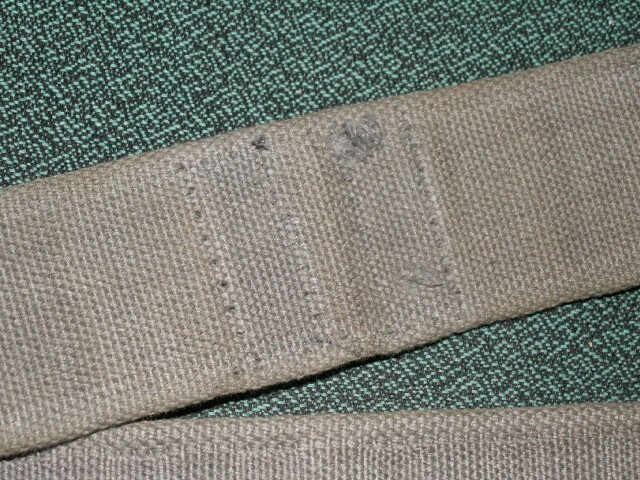 Looks like the khaki webbing straps that were used are from a supplementary strap or something similar. If it was another material(strap)I would probably consider removing them...but it looks like these served some sort of purpose. Again, the family members had no idea what, where, when, why their grandfather used it for. He did serve in WWII and was in the RCAF...that's all they could tell me for certain. Looks like a modification to a tool belt. 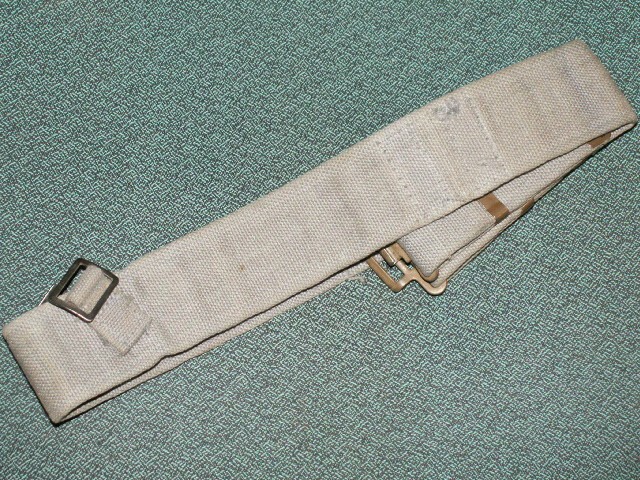 I had a similar post war belt that was modified to be a linesman's belt. If that's the case, should I remove the extra pieces? It is a nice large belt that could be of use to a RCAF collector. In this case, I think I would. 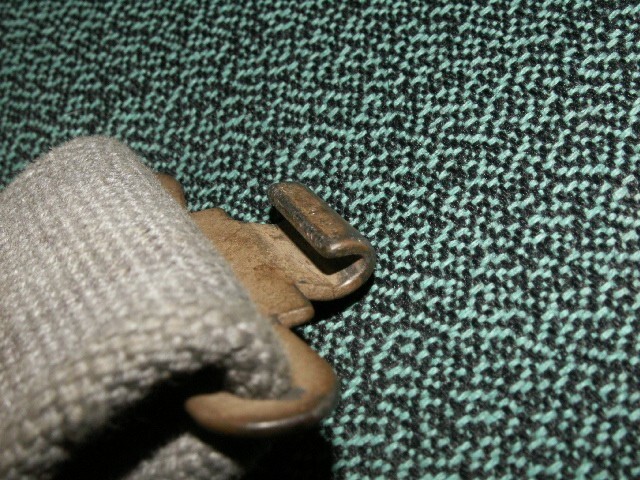 It is not a documented modification, and most collectors would return the belt to the original state. I agree with Bill on this one. Post war modification to some sort of tool belt. I have a WWII dated P-37 belt that was modded to hell by the vet, he riveted on equipment straps and even a German ammo pouch to hold his tools, nails etc. I don't think your belt would suffer much if you removed the extra bits. I did the deed...looks much better now. Dale you violated the number one rule of forums....post pictures!!!!!!!!!!!!LOL! 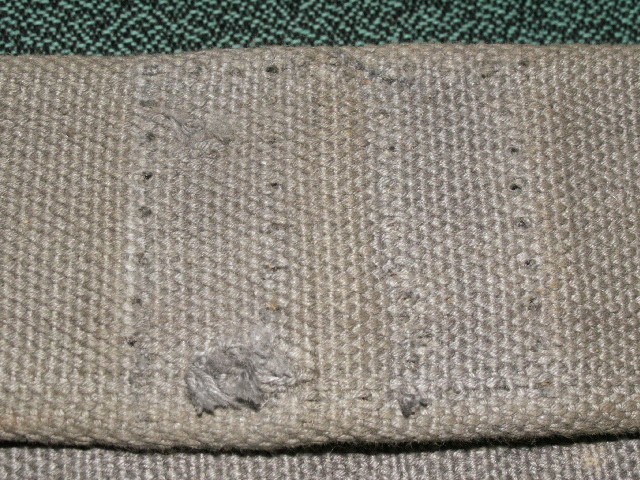 I'm curious if the old stitch holes are that visible. They are a bit visible...it was fairly heavy thread used on the extra piece. It left a bit of a shadow where it was but all in all it looks ok. As time goes on the holes will probably fall in on themselves and the shadow won't be as visible. It does look like whomever sewn the piece on tried to rivet it on first...two damaged areas can be seen where this was probably attempted. 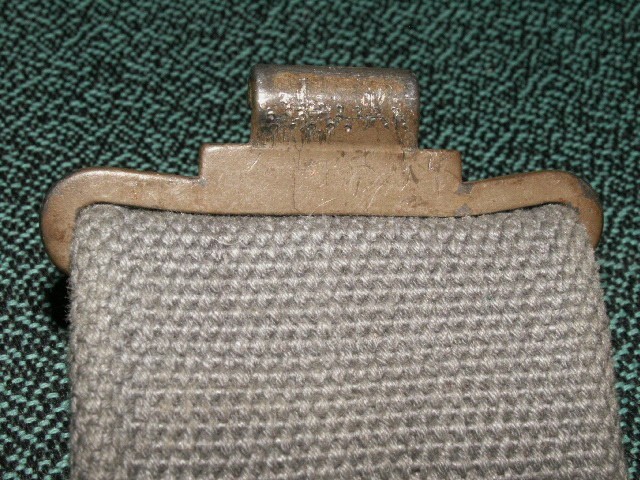 One other thing I found earlier was the hook side of the buckle has been damaged as well. The buckle holds together ok but comes apart much easier...it was probably done for that reason. I can probably find a replacement hook side at Ribtor in Calgary...they have buckets full of webbing buckles to pick through.